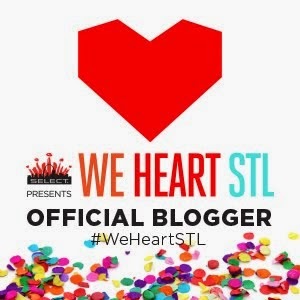 At the close of Saint Louis Fashion "Week" (it really felt like a whole month, not that I'm complaining), I wrapped things up with some local and guest blogger babes at a fun girls' night. We started at local boutique CLR-MNSTR. (I always thought it was "Clear Minister" but it's actually "Color Monster.") The eclectic boutique has art, accessories, on-trend duds, and vintage garments. 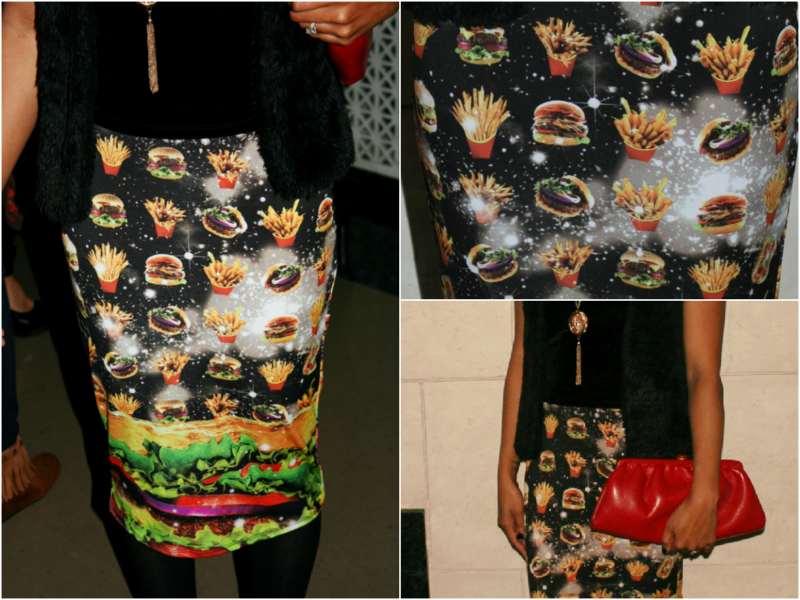 I tried on several things, but landed on a wacky piece that can only be called "The Hamburger Skirt." Yum. The skirt has a mouth-watering pattern of juicy burgers with all the fixins' like tomatoes and lettuce and a side of fries. Just looking at it makes me hungry. The friendly, uber-cool sales crew told me that there was a matching top to the skirt that had sadly already sold. The staff had been wondering just who would be ______ enough (insert any adjective between "nutty" or "daring," perhaps a bit of both) to buy the last hamburger skirt in the store. That would be moi. I proudly wore this conversation-starting, tasty getup to the Tribute fashion show last weekend. Getting to hang among St. Louis' fashion community, I figured it would both fit right in and stand out. As they said at CLR-MNSTER, #bethebestordie. Let the drooling commence. . . Thanks, Jill! This skirt is one of my faves!